The first thing to do is maintain your shed and make sure that it’s in good condition. If the shed is in a bad shape, e.g. the wood is rotting and everything’s falling apart, you’d best just replace it. You can look for the best sheds online. If your shed is still in a good condition, then you can proceed to making a few alterations to improve it. Start off with a little bit of paint. You can choose any color you want; express your creativity. A lot of people use bright colors with white trimmings. However, you can paint it in pretty much any color you want. If you can paint well, you can even go with a mural. Just make sure that your shed’s wall paint will compliment the rest of your garden. Another way to make your shed a focal point of the backyard is to put plants around it. By putting some plants around the shed, you’ll make it more eye-catching. Aside from plants, you can also put decors around it. To add to the design of your shed, you can install a few windows. Shed windows are a great addition to the whole dimension of the structure. When installing windows, remember that it’s crucial for them to match your shed door. If you have a knack for creativity, you can make windows of different shapes and sizes. Shed windows are easy to install, so you should have no problem. Aside from painting your shed, you can also add some wall art. Outdoor wall art adds to the total decor of the shed and makes it stand out pretty well. All you have to do is think of a theme for your shed and dress it up with wall art based on your theme. There are a lot of outdoor wall decorations that you can find on the internet. Just choose the one that fits your shed. Somehow, garden walls are pretty big these days. The great thing about garden walls is that they go really well with garden sheds. A nice garden wall also goes well with the plants and decors around your shed. 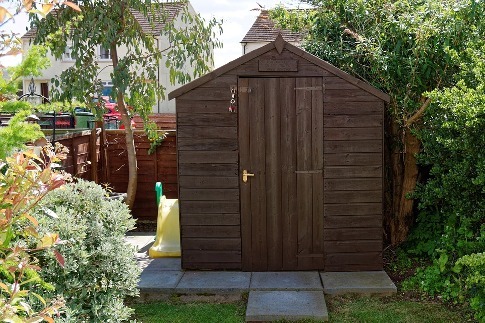 While most people just see their garden sheds as a storage place where they can place their things, it can be much more than that. With some creativity and effort, you can actually make your shed a backyard centerpiece. The few tips above will make your shed stand out.